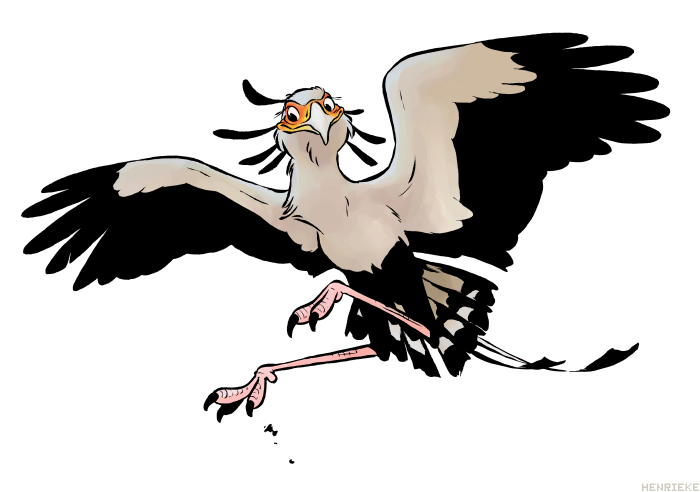 Maha is a bit of a special secretary bird. Her egg was blessed by the gods above to be able to see true beauty, to never be clouded by judgement, illusions or fear. Maha's eyes served as through souls, to judge them worthy of heaven or hell. However one day, while she flew over the plains she is struck down by an arrow, but rescued by a woman when the hunter brought her home. The woman won the argument, and soon Maha after being healed, was set free. Weeks passed, and a soul had been sent to judge, but it was a special case. Two souls, two souls were to be judged at once. Maha knew the two, for they were the couple. Maha looked through the souls. The man was the village hunter, for he was the only one capable of hunting and no boys were old enough to wield the weapons, he was revered as the village hero. Kills he gained was shared among the village, but his wife's interference had cause the village, who took the man for granted, to burn them to death while they slept for betrayal. The woman on the other hand was shy and quiet, reserved. She had no friends, and was always a loner. The man took her hand in marriage for he had genuinely loved her, but never got a chance to interact with her til they wed. The two had a child, however he was killed by a cobra and since that day they never had one, fearing another would die. When their house burnt, she was awake with her husband, but she did not move, she saw her husband did not deserve having no child nor home and thus, she died along with him, hugging him as they died together in each other's arms. Upon seeing this, Maha gave the gods her judgement, and a request. Maha wanted to go on a journey, moved by the couple. Her journey brought her here, well until she was captured by the Clover Zoo for their upcoming opening. Afraid they might do something, she stayed a bird. Well then it happened, the scientist put the serum in her drink but she saw what was inside, and saw his heart. The bird kicked it away and flew off to safety, until she was the souls of two mages who were there, risking their lives to protect both the animals and the people. She took a liking to one, the one named Hebisha. Maha is an enthusiastic, passionate and well groomed girl who takes pride in her abilities to help the good. Maha sees past the veil that blinds most, and sees what makes everything them. Maha was never one to see the negatives, and with sheer optimism sees past the evil deeds one may have done in the past. However she is not gullible, and with a ferocity will punish those who lie to her, who try to deceive her eyes. Maha is also very tidy and hates when things go out of place while also being a major workaholic, never to like the lack of work or action. Her favorite food is cobra. 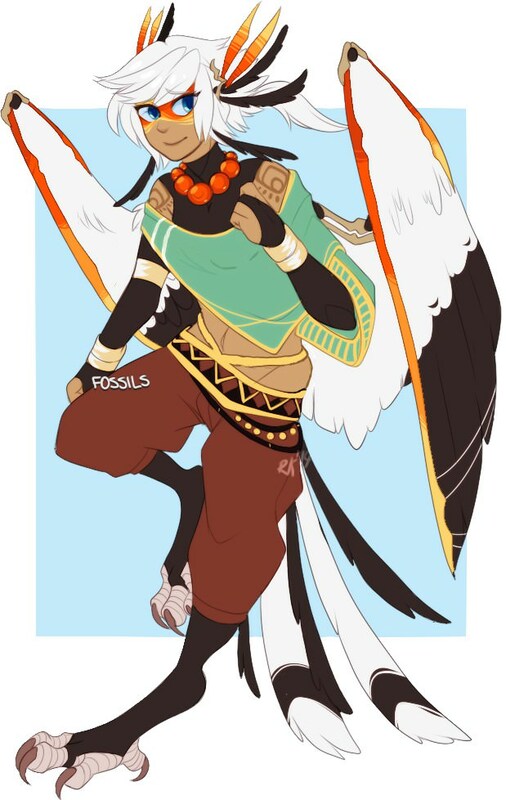 Maha can switch between 3 forms; Bird Form, Chibi Form and Divine Form, each which serves their own purpose in her life. 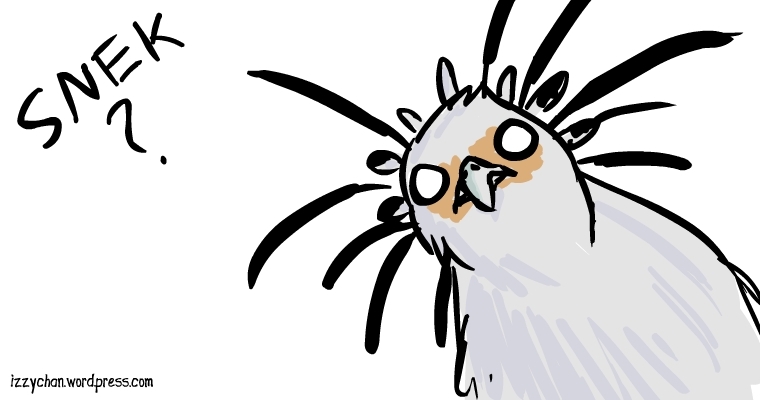 Bird form is her standard, her everyday life. 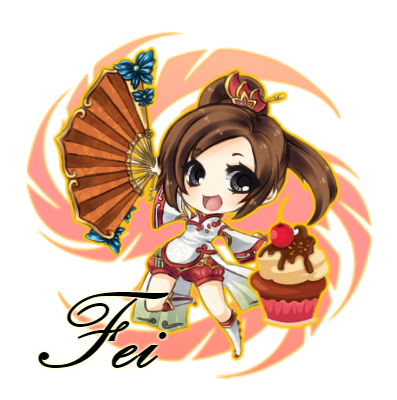 Chibi form is for whenever she wishes to be human but without the burden of her Divine Form's power. Divine Form gives her access to magic and powers she can use beside her eyes that she can use in combat, but can be draining to upkeep while in battle. Form Shift: Maha can switch between her 3 forms for various purposes, only entering her Divine Form if she wishes to enter combat. Sky-Lifter: Maha may not look incredibly strong, but trust her to carry more than her own weight, she can carry a whale into the skies if she has to for some reason. Of the Eyes: For Plot, she cannot be blinded by any means possible and can see past any lie, illusion or facade. In combat, she reduces the effects of blindness by 50% and if Hebisha's rank is higher or equal to the enemy. Secretary Kick! : A non-damaging kick of sheer power to protect the innocent from perverts, creeps and other weird people! Telepathy: Maha is mute, instead she speaks through telepathy through direct eye contact or has knowledge of a person's location like for example using tracking devices, marks etc. Description: In her Divine Form, Maha flies right into the sky where the clouds do not touch, and whips up a furious divine wind with her power that begins to corrode earthly minerals into sand when it gets touched by the winds, creating a massive sandstorm that deals a quarter C/B/A rank damage over 3/4/5 posts in a 30/60/120 meter radius with the center being the ground Maha is flying over. The spell deals more damage(0.5x/1.0x/1.5x) to demonic beings due the divine wings blowing. Earthly Sands: The winds affect the terrain drastically by turning dirt and other earthly objects to sand that begins to damage the enemy, turning spells that conjure earth to just sands that get blown away. Sandstorm: May obstruct vision of those who do not see through other means like infra-red. Up High: It is very hard to end Maha from channeling the magic especially when it gets cloud where she above the cloud cover. Sand Mages: Those who control the sands will find this magic more beneficial than negative. Channeling: Maha has to channel the magic in order to fully use the magic, thus she is unable to cast other spells while using it. Steel Constructs: Steel Constructs will take less damage(25%) from the ability due to their steel bodies. Stronger Winds: If a wind is strong enough, it can stop the channeling immediately. Nice Earth Elementals: The winds do not affect Earth Elementals with a good heart. Channeling her divine energy while in Divine Form, Maha flaps her wings and sand flies into the skies that sprinkle over her allies, giving them a 30%/30%/35% speed buff while giving them a minor 30%/30%/35% physical buff. Allies need to have direct contact with the sand to at least gain the buffs. HAKUNA MAHATA EVERYBODY! Hakuna: Makes everyone feel good. Mahata: Those buffs make people feel good. Physical Fighters: They would feel so hakuna matata when they get hit with the buffs. Get Sand-Touched: You need to be touched by the sands to gain the buffs. No Defense: Speed is key, tank is 4 noobs. No Magic: No magic buffs so magic reliant mages not hakuna matata. Blown away: The sand can be blown away by strong winds. Description: In her Divine Form, Maha flies right into the sky where the clouds do not touch, and whips up a furious divine wind with her power that begins to corrode earthly minerals into sand when it gets touched by the winds, creating a massive sandstorm that deals a quarter C/B/A rank damage over 3/4/5 posts in a 30/60/120 meter radius with the center being the ground Maha is flying over. Minor Physical Buff: Might not be strong a buff to gain any significant difference.